The crew of the colony ship Covenant, bound for a remote planet on the far side of the galaxy, discovers what they think is an uncharted paradise. However, this world is a dark, dangerous place. When the crew uncover a horrific threat, they must attempt a harrowing escape. I am a wary fan of Ridley Scott’s Alien franchise. I love both Alien and Aliens and watch them on a regular basis. Meanwhile, if a new Alien film comes out, I want to be among the first to see it on a big screen. My wariness about this franchise stems from having been let down in the past - most recently with Alien prequel, Prometheus. As a result, I was a little anxious before watching Alien: Covenant - a sequel to Prometheus and a prequel to Alien. However, I reminded myself to watch this movie with an open mind and fresh eyes and not to burden it with the weight of unfair expectation. So, let’s start with the good. Apart from some dodgy CGI moments, Alien: Covenant looks stunning. There are some breath-taking sequences both on board the Covenant itself and when the crew land on the mysterious planet. These scenes honour the vision of original Alien designer, H. R. Giger. In addition, the film features two powerfully creepy performances from Michael Fassbender - as synthetics David and Walter - and a great (if underused) Ripley-esque turn from Katherine Waterston. 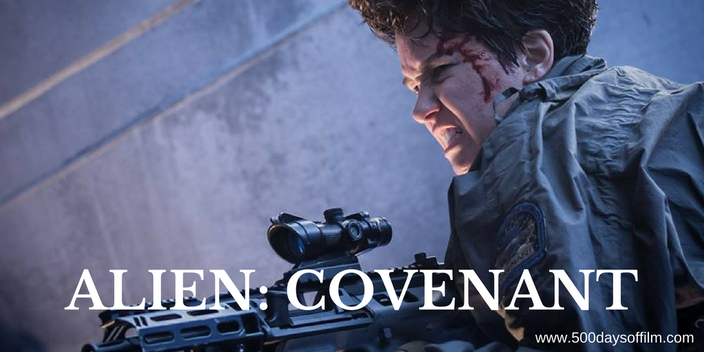 Now, brace yourself, here are the problems I had with Alien: Covenant. While the film doesn’t take as long to get going as Prometheus (apart from a rather insufferable pre-title scene), it suffers from many of the same issues as Scott’s 2012 film. Exposition pours out of this movie like so much acid blood, killing any sense of audience engagement or tension. Meanwhile, the story is patently ridiculous. Like in Prometheus, characters do the stupidest, stupidest things. I soon began to lose patience. Don’t wander off alone, you fool! Don’t touch that, for goodness sake. Cue a series of increasingly frustrated eye-rolls. To make matters worse, Alien: Covenant makes no sense to me as an Alien prequel. Certain things occur far too fast, while other (too spoilery to mention) events occur that just do not seem to fit with the narrative we have gleaned thus far. As a fan of Alien and Aliens (and despite its impressive visuals), Alien: Covenant is a disappointment. There is now a very real danger that the Alien franchise could cannibalise itself, damaging the original films that we hold so dear. Have you seen Alien Covenant? If you have, what did you think about the latest in Ridley Scott’s science fiction franchise? Let me know in the comments section below. Alternatively, get in touch on Twitter or Facebook!